For daily information on tide times and heights, please click the link on the left. 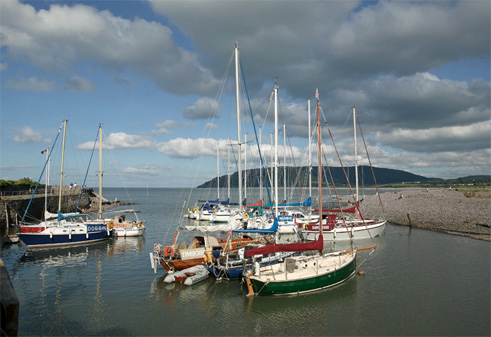 The pretty harbour at Porlock Weir has been in use for centuries and today provides a safe haven on the Exmoor coast for pleasure craft and small fishing vessels. This coast experiences a significant tidal variation  often up to 15m  and both the outer and inner harbour are dry at low tide. The latter is protected by lock gates which are currently out of use, although a restoration programme has been planned. The drying harbour can be accessed for just over an hour either side of High Water and is suitable for bilge keelers and other vessels able to take the ground. Smaller vessels unable to take the ground are able to lie afloat in a small pool outside the dock entrance. Larger vessels can anchor off in Porlock Bay where there is good shelter from winds in the south and west.